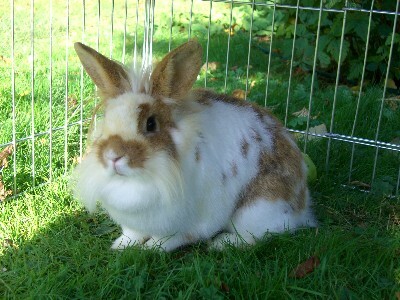 We have a variety of rabbits and guinea pigs here at Mill Cottage Farm. Some of the rabbits are very good at coming out and being handled. It would be impossible to keep the website up to date with who is who, so the pictures are an idea of some of the rabbits we have or have had in the past. 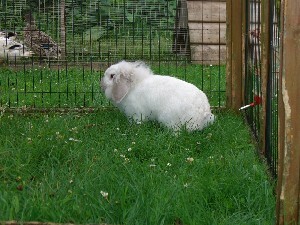 The guinea pigs and rabbits have separate hutches and travel separately. 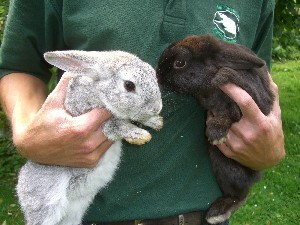 Those rabbits and guinea pigs that like being handled are chosen to come out on visits and under supervision will share a run for the duration of the visit. We have never had any problems with this and at the first sign any animal needed to be separated, we would do so. They all eat special dry mix as well as fresh fruit / vegetables. 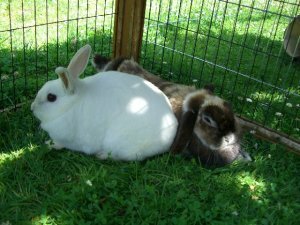 We do not breed rabbits at the farm as we have a limited number of hutches and are often asked to rehome rabbits for a variety of reasons. 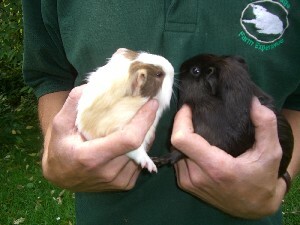 One of our staff members breeds guinea pigs occasionally, and sometimes we have rehomed them too.